Extremely ductile and fast response, is ideal for one or two paddlers. 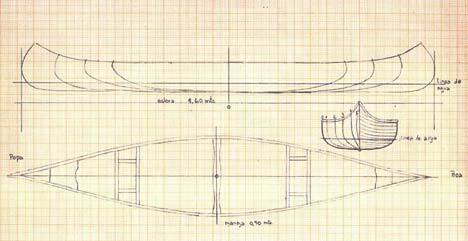 Its underbody has been shaped to conform the most up-to-date concepts in paddling efficiency. The hull is a shallow arch with a moderately flat keel-line that flows into a shallow “V” to become a fine deep “V” at the bow for directional stability, speed and manoeuvrability. Extremely ductile and fast response, is ideal for one or two paddlers. 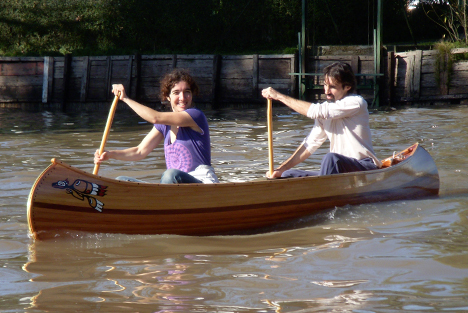 Its gunwale, with a moderate height, allow the use of either regular or kayak paddles. The limited draft makes it easy to navigate in shallow streams and whitewater. This model is built for speed and its excellent manoeuvrability proves to be ideal for fishing in lakes and lagoons. Its lightweight allow to transport it on the rooftop of a car.